I hope I still have some inky friends after my very long absence from my blog. The last few months have been just a little bit crazy- moved house; market stall; Klass Act Team Day; 85 birth announcements; finally divorced; Father's Day; SU Regionals (40 swap cards); 3 baby frames; fun times with Elliot; cards, cards, cards; birthday party planning; parents overseas (very much a single mummy at the moment!!! )- you get the picture. 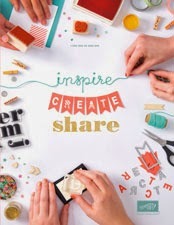 It seems like a very long time since I have had the chance to create for the joy of creating and just for me. However, this week I have found the time to jump back into the swing of creating and I am loving it....absolutely loving it. 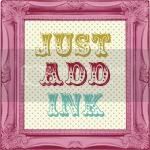 And what better way to enjoy creating just for me than to have a play with this week's Just Add Ink Challenge. I have been really missing entering the JAI challenges and have had to be happy with just looking at everyone elses creations. So this week's challenge is a theme challenge- to Just Add Sympathy and create a sympathy card. I decided to use the 'Every Moment' stamp set we were given at Stampin' Up Regionals a couple of weeks ago. I, like so many others, wasn't too keen on the set when I saw it in the catalogue but after playing with it at regionals I am in LOVE with it!!! I am really practising my watercolouring when working with this set too. I also used one of the new Stampin' Up! colours too- Marina Mist- and I can already tell it is going to be a favourite- so pretty!!! I hope you like it. Let me know what you think- I LOVE getting comments. I am planning, over the next few days, to share some photos of projects that have been sitting here all lonely waiting to be blogged. This is lovely Louise, Marina Mist is so pretty, isn't it. I didn't like this set much when I first saw it either, but I'm actually looking forward to receiving at regionals now. Gorgeous Louise and so glad to see you back creating and blogging again.